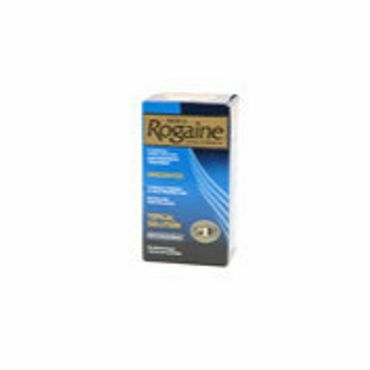 Reviewers consistently point to Men's Rogaine Extra Strength Hair Regrowth Treatment as the first line of defense against androgenetic alopecia (AGA), commonly referred to as male- and female-pattern baldness or genetic hair loss. It contains 5 percent minoxidil, which is also available generically. Rogaine must be applied twice a day, and any hair grown will be lost shortly after it is discontinued. It takes between four and nine months to see results. Possible side effects include excess hair growth on the face and body, but only a small percentage or users are affected (when treatments stops, so do any side effects). Can cause unwanted hair growth. 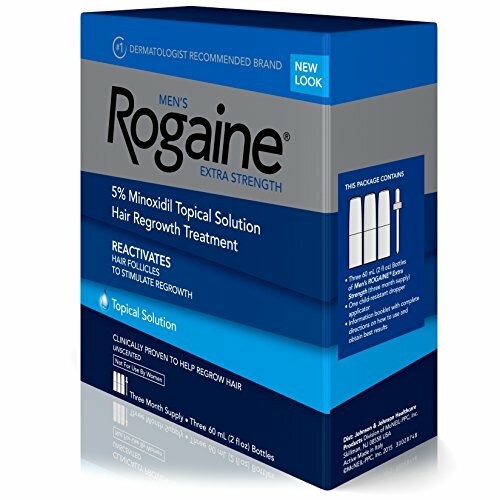 Several Rogaine users posting to Drugstore.com complain of scalp irritation, but some say that switching to the original strength or another brand alleviates that problem. A few users complain of the odor associated with Rogaine while others claim that the smell disappears when the product dries. Experts say that some women may have unwanted hair growth, namely on the face, as a result of minoxidil usage, though it is a rare side effect and may be more likely to occur in women with a history of excess facial and body hair. Men's Fitness magazine points out that another uncommon side effect is chest pain, as minoxidil also comes in a pill for treating high blood pressure.